Off Duty Officers, Inc., excels in tailoring specific security details for every possible security requirement. You will receive licensed, experienced professional security personnel when and where you need them. Whether you require off duty law enforcement or standard, licensed guards for short or long term assignment Off Duty Officers will tailor the right security detail to meet your safety, security and budget requirements. Our Mission is to always achieve a higher level of performance. To partner with our customers by providing highly trained law enforcement personnel, utilizing state of the art methods in the most cost effective and confidential manner possible. Why Off Duty Officers, INC.? Rapid response with nationwide service. References from fortune 100 companies. Licensed and trained for Power to Arrest. License and trained to use Baton, Pepper Spray and Firearms. Qualified security personnel to meet any security requirement. Our professional training programs exceed standard requirements. We incorporate the strictest standards of accountability. We apply the most advanced technologies and logistical processes to our operations. Individualized Attention to Customer Needs..
Off Duty Officers Inc. was founded in 1993 and is a leader in providing off duty and retired law enforcement personnel for private security needs. Since its founding Off Duty Officers has expanded to provide both armed and unarmed, off duty and retired law enforcement personnel nationwide. The company’s security services cover a wide variety of live security guard applications including standing guard and live patrol, for short and long term coverage and security for corporate events, workplace violence threats, loss prevention, corporate retreats, charity events, trade shows, executive and celebrity protection, private parties, weddings to name a few. The company was founded by Aram Minasian and Terry DeGelder (San Diego Police Retired). The founders are actively involved in the day to day business operations. Mr. Minasian, has a history of success in starting and building, national, service businesses fulfilling the service needs of Fortune 100 corporations. Mr. DeGelder is a retired San Diego Police Homicide Detective and U.S. Army veteran. As an original founder he has developed and implemented hundreds of unique security details, encompassing a wide variety of security applications from special events including shareholder meetings, corporate retreats and conferences, to workplace violence mitigation, terminations and executive protection. Supporting Mr. Aram Minasian and Mr. Terry DeGelder, is a team of long term, proven professional management and field supervision leaders. This team accesses the Off Duty Officers, Inc. current employee base as well as the company’s national data base of qualified and ready security professionals to effectively address any and all security program requirements. From basic drive patrols to on-site armed and unarmed security personnel, corporate, private investigation services and workplace violence prevention, Off Duty Officers, Inc. specializes and leads the nation in the use of professional off duty and retired police officers. 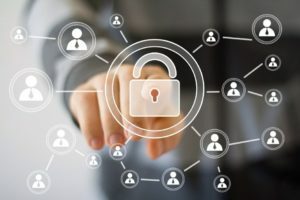 Security challenges, response strategies and tactics are constantly changing, requiring an ever better, ever faster, ever more refined organization to stay ahead. Off Duty Officers, Inc. has grown its client base and geographic coverage for over 24 years by living its company motto every day…. Short or long term nationwide security guard services, reliable, affordable and carefully tailored to your needs.